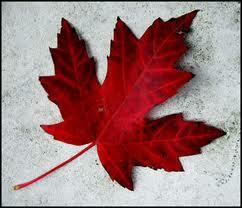 Happy 145th Birthday Canada! I love summer long weekends and July 1st is especially great as we celebrate living in the best country in the world. 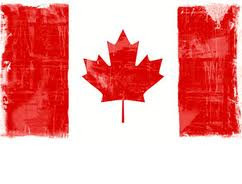 I travel for business and I am always proud to say I am Canadian! We will be celebrating on Monday, hosting a BBQ with friends and family. The focus will be on all things red and white. My table will be covered with a white cloth with a red runner down the middle. Single red geraniums in white pots will be the floral centrepiece. I bought small flags at the dollar store and will put those in the pots. Red paper napkins will sit on white and red plates. Phyllo Pizza - A favourite! For other Canadian dessert ideas go to Canadian Living here. We will be outside enjoying this amazing summer weather. I have marshmallows for S'mores and chocolate chip cookies to finish things off. Hopefully we will see some fireworks in the night sky. Hope you have a great Canada Day! I'm really enjoying your writing. It's crisp, clean and uncluttered. I *love* that. I also really *love* this post. There is so much to be said about Canada Day. As I have been telling my sons, the Canadian flag is a vexilloligist's dream for a number of reasons. Perhaps that's for another blog post. In any case, keep it up. J. Thanks Jon. I take that as a big compliment coming from Dr. Rose. Keep me posted on 'the study of flags' and perhaps I can blog about it one day.